Usually snakes conjure up images of danger and fear but as a valuable resource for study of nature, but this impression should be dispelled and we should encourage the acceptance of snakes as part of the ecology. Snakes in the Margalla Hills National Park (MHNP) inIslamabad were primarily nocturnal and their feeding time began around sunset. Since they are wary of humans, few visitors to the MHNP saw them. However, close and sudden encounters could, as with most wildlife, trigger a reaction and were best to be avoided. Even though, there had been no reported incidences of unprovoked attacks by snakes on the visitors on the marked and maintained trails of the park, it is advisable to follow the prescribed safety guidelines and stay on the trails, particularly during the monsoon months. Majority of snakes found in this national park were non-venomous. 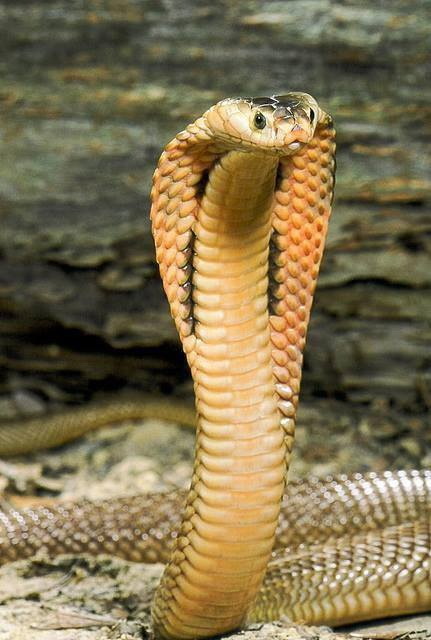 The only three venomous were the Cobra – recognised for spreading its hood when excited or frightened. The Krait, glossy dark brown or black with white cross streaks, and of course the Vipers identified by their arrow heads. More active in night, the five-foot long non-aggressive Cobra spreads its hood and erects the fore part of its body nearly one third of its total length for effective striking. Young ones strike repeatedly and with determination. The poison is neurotoxic that slows breathing and heart beat. Usually the 3.5-foot long Krait is shy snake and lives in a variety of habitats from scrubland to grassy areas or houses. Less dangerous during day, Krait is many times more poisonous than Cobra or Viper. Its bite causes hemorrhage of capillaries and the victims feel violent abdominal pains. Breathing becomes difficult while paralysis sets in followed by death. 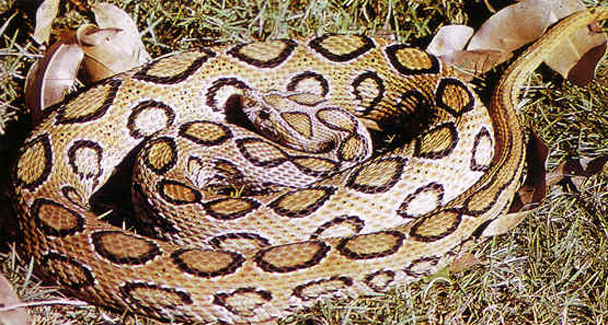 The Russel’s Viper is mostly found in open sandy or stony areas. Active during night, it is a passive snake that prefers to remain coiled up but when provoked, its hissing is “frightening”. Swelling and burning pain follow after the five-foot long Viper strikes. Internal hemorrhage takes places and if not treated death can come in a day or it may take a week. In Pakistan and especially in Islamabad, most of the recorded snake bites are of the Viper family. The Saw-scaled Viper is active during the day. It sits in a double coiled form with its head in the centre. When alarmed, it rubs the sides of the body against itself to produce a loud serration sound. It throws forward the front part of its body to attack. Its venom is more toxic to humans that the Cobra or the Russel’s Viper that causes internal hemorrhage and death usually within a day. The Common Worm Snake, Dhaman or Rat Snake, the thin and fragile brick-red Common Kukri Snake, two-foot feet long Common Wolf Snake, the strongly built Checkered-keelback and the sluggish Indian Python growing as long as 19 feet are among the non-venomous category. Indeed that snakes is very poisonous,but I want to know which country has more poisonous snakes in the world?